forg Hey there. Wondercide writer Catherine here. Lately, I’ve been curious about how people feel about dog parks. As you know, my Bella is 6 lbs. (that’s her in the picture – isn’t she cute?) and I really can’t just take her to a dog park because along with it comes one too many potential dangers. 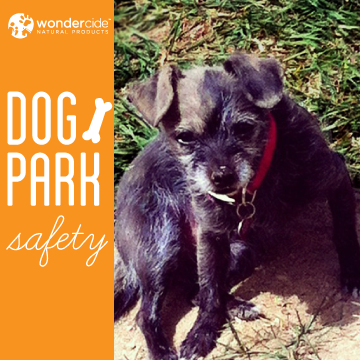 Dog park dangers? What dangers? Well… it would be a mistake to think that all dogs at the park are well-trained, well-mannered, and fond of every other dog. It would also be a mistake to assume that all dogs are healthy. And by healthy I mean parasite-free. Parasites can include fleas, ticks, and different types of worms such as hookworms or tapeworms, as well as giardia. I’ve been reading horror stories of people who come home from a romp in the park with Fido, only to find out that he is now infested with fleas because another dog had an issue (or the park itself was infested) and they forgot to apply Fido’s natural flea repellent. The two main reasons I don’t bring Bella to the dog park is because one – many larger dogs view her as prey – this is never a happy situation. She is literally now terrified of a large happy dog, excited to be her new friend, due to negative past experiences with not-so-friendly canines. And two, I don’t want her picking up fleas or other nasty parasites from the less cared for dogs there. That’s just me (and Bella). And just because I have a tiny little dog (and I’ve had my share of bad experiences) doesn’t mean you can’t or shouldn’t take your dog to the park. In fact, if you do take your dog to the park and have had great luck, I encourage you to continue to do so. There’s nothing better than the outdoors, sunshine, and exercise! First, don’t forget to protect your dog from the obvious parasites with natural flea repellent. Sounds simple, but an infestation can happen anywhere at any time. Second, look out for dogs that may not be as friendly as your dog. And third, don’t get distracted by being on your phone or chatting up other dog park patrons – the last thing you need is your dog knocking over your neighbor’s kid and then you having to pay for their medical bills. Do you bring your dog(s) to the park? Share with us in the comments! Protect Your Dog – Purchase Natural Flea Repellent Here! The place where I live decided to put in a doggie park just feet from my townhome. I had my flea problem under control naturally and now I have a full infestation in my house and have to resort to chemical treatments to keep it under control. My dog developed allergies to the fleas and is miserable. II no longer take my dog there, but my natural remedies are not working anymore due to all the fleas that are just nearby my place. Luckily, I am moving back to Colorado in less than two months and I won’t have a flea problem anymore! Everyone said I lucked out getting the dog park so close to my place, but now I would warn anyone not to move into a place if they put a dog park right next door to you. So sorry about that, Marla! Thanks for letting us know. We’ve updated the link! I’ve been taking Slipper(SpringerLabPit) to the dog park since she was7weeks(4lb) even the huge dogs loved her. I had positive experiences with the dogs and people. Now, at 7 months(50lb) she has fleas. its July but I just put a flea product on her today and figure that will take care of it. We love dog park, my frenchie, Vinnie, enjoyes it. However, due to the warm winter, the flea are enjoying their sunshine in dog park as well.. and looking for a lovely home! The dog park I go, they do not spray any chemicals and I’m thinking about recomending Wondercide to the dog park (we have a group of people who vunlunter to take care of the dog park). 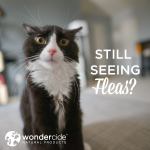 Yes indeed; our flea spray and insect repellent can both be used on Vinnie and your skin, too. They are the exact same formulation and so can safely be used interchangeably. 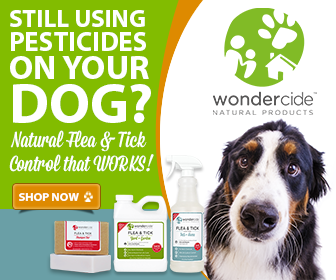 Those, like all Wondercide products, are made of food grade ingredients, completely non-toxic, and even safe if Vinnie ingests some product through grooming. Thank you for your support of Wondercide, Pearl! Let us know if you have any other questions for us; we’re glad to help.